I am really digging the weeks that go by extremely fast and Friday's that start off on amazing notes! These are welcome anytime. Sometimes it's funny how things work out. Billy and I have spent the past two months going back and forth between what type of new grill we wanted to buy (we were going back and forth between two different models), and once we finally narrowed it down to the one we wanted I started talking to my Dad about it and he offered to give us their grill! It's too big for their space and he was wanting to buy a smaller one, so last night my parents kindly gave us their amazing Jenn Air grill. So thankful for them! $800 still in our pockets and if it wasn't for the fact that we got home well after dark with it last night, Billy would've already been putting that bad boy to use! Next week, it's going down. I'm wanting to spruce up our guest bedroom with new frames and decor. 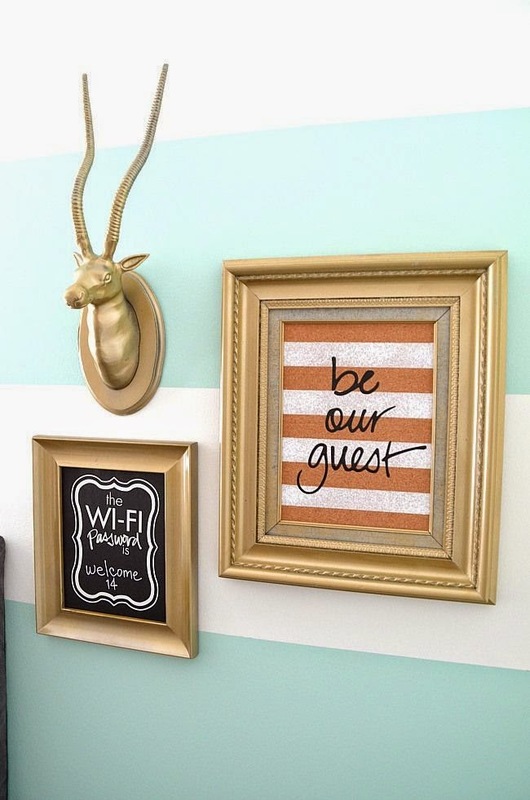 I love this set of frames and may have to copy it and make my own...I mean, the wifi password thing-why didn't I think of this? Loving this cute mint skirt right now! Our temps have cooled down a bit so I haven't got a chance to wear it yet, but this will be a summer staple. I'm planning on pairing it with this wifey shirt to dress it down a bit! PS: The Bib Jewelry giveaway has ended, but you can get 10% off with the code "CARRYON10", which is valid until May 9th! I need that backyard in my life!! I think we eventually want to put in a projector so we can have backyard movie nights! 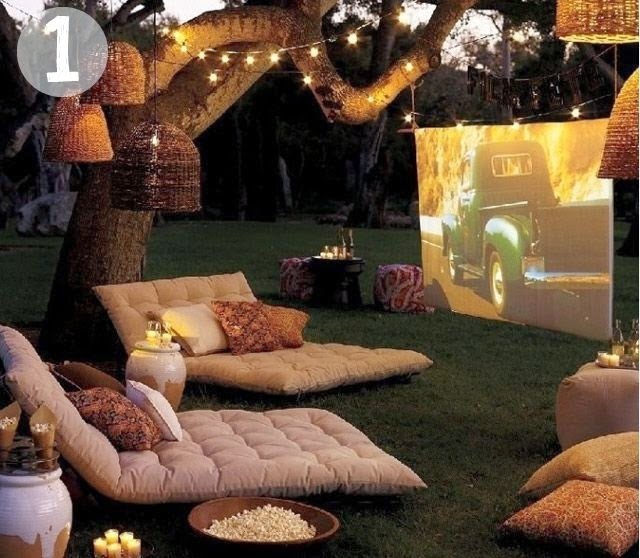 A backyard movie night would be such a fun party idea!! Congrats on the new grill!! Hope you have a great weekend! Those backyards are amazing! And I'm definitely making guacamole for Cinco de Mayo, yummm! Love that backyard! I was really wanting to do a backyard theater type thing last summer but realized that we spend so much of our summer either vacationing or going camping that we really wouldn't get that much use out of it. Have fun in Cleveland! I will be getting our house ready for Anthony's graduation party next weekend and hopefully planting a bunch of flowers!!! Yeh for the West Side Market! Enjoy :) So much good food to purchase...you may want to bring a cooler! lol! And that backyard is beautiful! Wow that backyard! 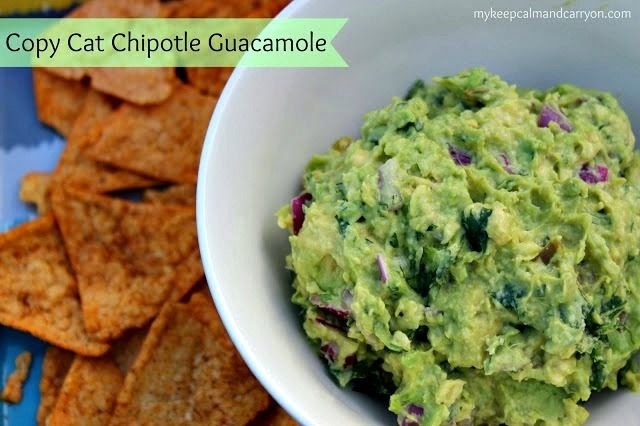 I love Chipotle guac, I think that's going to be on the menu this weekend! So excited for an excuse to have a margarita on a Monday! :) Have a great weekend! I followed your link to that skirt...how cute is that whole website? I am in love with their summery dresses! Have a great weekend! That backyard is dreamy!! I'd take one of those. I am loving the amazing weather Texas had to offer today!! It's gorgeous outside (: happy Friday!! Enjoy your family time! OMG! that backyard! So cute!